Originally known as Bruce McLaren Motor Racing, McLaren was founded by New Zealand F1 driver Bruce McLaren in 1963, making their grand prix debut at the 1966 Monaco Grand Prix. They were the first team to construct a car around a carbon fibre monacoque, a process now commonplace in most forms of motorsport. They have gone on to become one of the most successful teams in F1, recording eight constructors' titles, 12 drivers' championships and over 160 grand prix victories. The first win came from McLaren himself in 1968 in a non-championship race at Brands Hatch; McLaren followed that by winning the Belgian Grand Prix. Team-mate Denny Hulme compounded the team's success with wins at the Italian and Canadian Grand Prix later in the season. The team finished second in the constructors' championship behind Lotus. 1970 started with disaster for the team, they entered the Indy 500 for the first time but Hulme badly burnt his hands in a crash in practice. On June 2, 1970 McLaren was killed testing a CanAm car at Goodwood - 12 days after his death Dan Gurney drove the car to victory in the first CanAm race of the season. Despite withdrawing from the series in 1972, when the CanAm series finished two years later, McLaren were by far the most successful constructor with 43 wins. It was two years after McLaren's death that the team would take their next F1 win, in the South African Grand Prix, with Hulme driving the M19C. Despite an impressive line-up of famous driver names joining the team they enjoyed few wins. McLaren would have to wait until 1976 to secure their next drivers' championship for James Hunt, who beat Ferrari's Niki Lauda by one point. 1984 saw a near-perfect year for the team, fielding drivers Niki Lauda and Alain Prost; Lauda beat his team mate to take the drivers' championship and the dominant combination powered McLaren to the their second-ever constructors' title, winning by 86 points from Ferrari. Prost fought to take back-to-back drivers' championships for the team in 1985 and '86. The McLaren team as we know it today was formed in 1980 when Ron Dennis' Project 4 Racing team merged with McLaren and Dennis took up the post of team principal. This move started an era of dominance for the team. Ayrton Senna won the drivers' title in 1988 and team mate Prost reclaimed it in 1989. 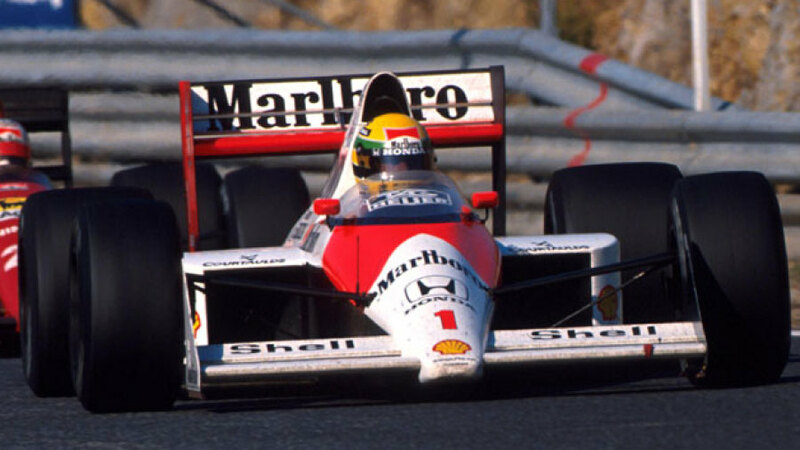 Senna regained the title in 1990 and retained it the following year. The team also won the constructors' titles in each of these years. After this period McLaren again went into decline and had to wait till the 1998 season to win their next title, though they did it in convincing style after successfully interpreting the new rules into a winning car for Mika Hakkinen; the team claimed both titles. Hakkinen retained the drivers' crown in 1999. 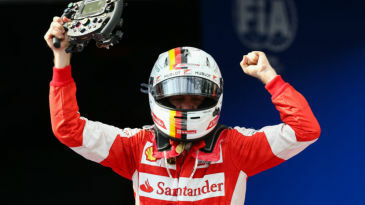 Into the new century the team came under heavy pressure from Ferrari and Williams, and the best they could do was second. Continuing their history of peaks and troughs the team came back from a disastrous few seasons to produce arguably the fastest car on the 2005 grid; despite ten wins the team narrowly missed out on the title due to poor reliability. 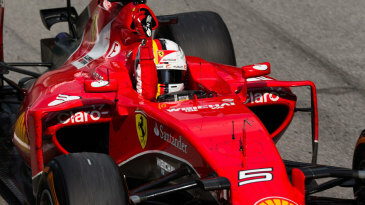 Controversy rocked the team in 2007, when, alongside Renault, they were accused of benefitting from confidential Ferrari data. 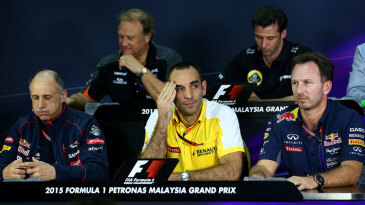 The team was stripped of all constructors' points and fined US$100 million. On the track, intense rivalry between team mates Lewis Hamilton and Fernando Alonso saw them finish level on points - one point short of the drivers' title. The following year Hamilton brought the team their first drivers' championship since 1999; however a disappointing season from team-mate Heikki Kovalainen meant the team only finished second. In 2009, Ron Dennis stepped down as team principal to make way for Martin Whitmarsh. The team suffered a disappointing start to the season, with the drivers struggling to finish in the points, let alone on the podium. After a raft of changes to the MP4-24 Hamilton finally took the team's first win of the season at the Hungarian Grand Prix. While other teams' development seemed all but stopped - McLaren continued to push ahead and Hamilton took another win in Singapore and a trio of other podium places - Kovalainen, however, continued to disappoint. 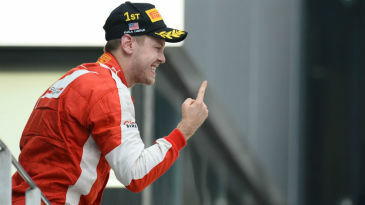 McLaren fought back to third place in the constructors' championship, ahead of rivals Ferrari, but reigning world champion Jenson Button was brought in to replace Kovalainen for 2010, forming an all-British lineup with Hamilton. Button won two of the first four races for his new team, while Hamilton added three more later in the season, the pair finishing fifth and fourth respectively. 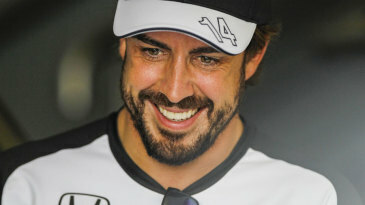 McLaren finished second behind Red Bull in the constructors' championship. McLaren represented the only serious challenge to Red Bull in 2011, with Hamilton and Button winning three races each - again finishing second in the constructors' race. Between them they won one more the following season but dropped behind Ferrari to third, as late-season reliability and performance issues ultimately cost them dearly in both title fights. Hamilton ended his lifelong affiliation with McLaren the following season, and was replaced by Sergio Perez. But it was a season full of toil for the team, as they failed to make the podium in a single race for the first time in 33, prompting Perez to be replaced by Kevin Magnussen for 2014.